WASHINGTON – In split votes, the Senate Labor Committee on May 22 approved President Obama’s five nominees – three Democrats and two Republicans – for seats on the National Labor Relations Board. While Democratic Board Chairman Mark Gaston Pearce and Republican board nominees Harry Johnson and Phillip Miscimarra sailed through, two others didn’t. And the almost party-line votes on Democratic nominees Sharon Block and Richard Griffin, the former Operating Engineers general counsel, presage another partisan war on the Senate floor over the labor board and its future. Union leaders urged the full Senate to act quickly and approve all five, before the NLRB runs out of legal members in August. Confirming a full board is important to workers, union and non-union alike, said both Communications Workers President Larry Cohen and committee chairman Tom Harkin, D-Iowa. The board oversees all aspects of labor-management relations for most U.S. workers, including workers’ rights to unionize, how they communicate with each other and who can be in bargaining units. A quick vote is important. The board now has three members: Pearce, Griffin and Block. Griffin and Block are “recess appointees” Obama named to the NLRB in Jan. 2012 after Senate GOP filibusters defeated his permanent nominees. Pearce’s present term expires August 27, and the board would not have enough members to act and “would effectively shut down,” Harkin said. And the federal appeals court in D.C. ruled in January, 2013 that the recess appointments are illegal, and thus the board illegally decided 919 cases since January 2012. The Labor Committee’s top Republican, Lamar Alexander, R-Tenn., said the ruling means Obama is violating the Senate’s “advise and consent” powers in the Constitution. Alexander said he would vote against both Griffin and Block, who he also accused of violating the Constitution. But he did not openly threaten to filibuster them. He again called on them to resign now. Other federal appeals courts have split on the recess appointments issue and the mess is headed for the Supreme Court. 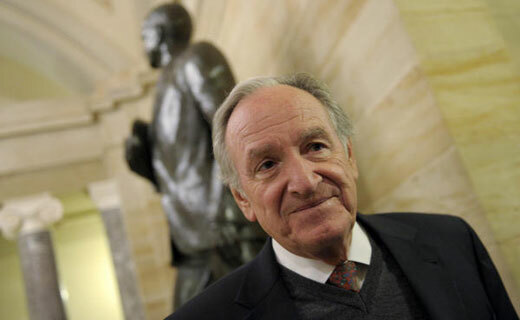 “This is an Alice in Wonderland approach: Verdict first, trial later,” Harkin replied. “Why should they lose their jobs and be forced to resign when we don’t know the outcome?” of the lawsuit challenging them, he asked. On the other hand, Alexander promised if Obama sent up two replacements for Griffin and Block, he would move quickly with Harkin to get them confirmed, too. Alexander again said they should quit their jobs now, because they’re illegal. Harkin told Press Associates Union News Service after the session that he would talk to Senate Majority Leader Harry Reid, D-Nev., about scheduling votes on all five before the lawmakers’ August recess. “But we’ll have to wait and see” whether the GOP filibusters them, he added. 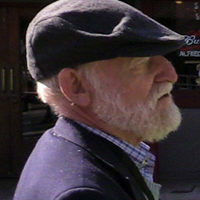 In a conference call last week with CWA activists Harkin had predicted a filibuster would occur. The committee voted 18-4 for Pearce, with Sens. Richard Burr, R-N.C., Rand Paul, R-Kent., Tim Scott, R-S.C., and Orrin Hatch, R-Utah, voting no. The other six Republicans voted for Pearce. GOP nominees Johnson and Miscimarra passed 22-0. Griffin and Block each won 13-9, with Sen. Lisa Murkowski, R-Alaska, joining all 12 Democrats. Alaska has a high concentration of unionists. Crossover votes helped her to an upset independent write-in win in 2010 over a Tea Partyite GOP nominee. After the committee vote, Cohen urged senators to vote on all five after they return from their Memorial Day recess. For the same reasons, AFL-CIO President Richard Trumka previously urged senators to quickly confirm all five, even though the federation strongly disagrees with positions by Johnson and Miscimarra, both management-side labor lawyers.